For a long time now, West Indies cricket has remained buried under scathing sands of controversies. Whether it is their poor selection strategies, frequently fluctuating chop-and-change policies in selecting their squads, or meting out harsh and indifferent treatment to their promising firebrand of cricketers, it seems nothing is going in favour of the once mighty force from the Caribbean. Swiftly declining into an abyss of loss of form and foregone glories, West Indies Cricket continues to make headlines with all the wrong and unwanted reasons, instead of the pride and valour that once marked and celebrated their fabled legend in world cricket. For a team that made some of the best sides in world cricket look inconsistent, frivolous and at times, mediocre given their line of pace battery powered by the likes of Holding, Garner, Marshal, Roberts and a brute batting attack featuring Spartans, one after the other, with the likes of Sobers, Lloyd, Kanhai, Richards, their glorious sides that were at the peak of their cricketing powers in the 70’s and 80’s are now sadly straddling towards the bottom of the world rankings in the present era. Nothing can be more saddening and gloomy than the serious decline of inarguably one of cricket’s greatest all time sides. But, it must be said that in the phase of 90’s towards the end of perhaps 2004, even as their dominance and stranglehold over other teams deteriorated, there were a few names in the West Indies playing eleven that contested with supreme skill, talent and will to continue to fight for the their team’s already lost cause. Their bowling had two of the most lethal names in the modern sport with Curtly Ambrose and Courtney Walsh decimating even the cruellest of batting attacks out there. Their batting on the other hand, was propelled to great triumphs by the genius show of Brian Charles Lara. 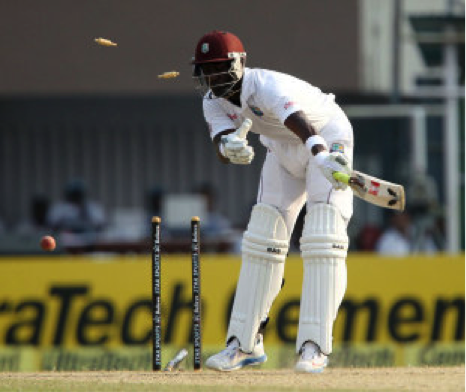 It was Lara’s dismissive blade and Ambrose and Walsh’ combined artistry that lead Windies to many convincing triumphs. But, alongside Lara, the prodigious scorer of 34 test centuries and cricket’s only quadruple hundred, there stood another feeble looking giant of the game whose heroic exploits saved Windies time and again from the state of decimation and must one admit, humiliation. 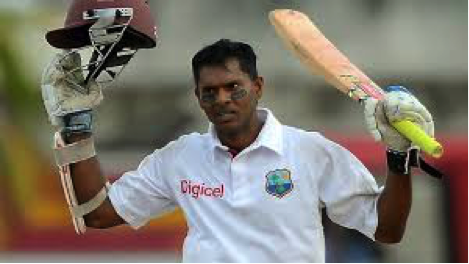 It is heartbreaking to concede that it is Chanderpaul who has sadly been ousted by Chief Selector, Clive Lloyd, just days before he was set to face Australia in an important 2 match series in a bid to surpass Lara’s overall tally of 11,953 runs, the highest by a West Indian. But, instead of being given the chance to achieve the great feat, he has been left a sombre and isolated figure amidst an ocean of despair. Yes, Shiv is 40 and has had played a huge 164 Tests, but the ever committed fit, experienced and passionate servant of the game, has been unceremoniously denied a chance to go out on his final hurrah. Cricket is now a game watched by fans who identify twenty 20 and one day cricket as a mass consumption diet that savours their hungry palette that craves excitement and fun. Test cricket, the undeniable test for measuring the true worth of a cricketer, has few takers. The situation back in the Caribbean being more hapless than ever conveys the downward spiral of the test match game with semi-filled stands of Jamaica, Barbados and Trinidad, essaying that the glory days of West Indies showcasing their collective might out in front of sprawling fans are long gone. From the names among 11 players, only a few manage to move eyeballs in admiration, with Marlon Samuels, the “Laraesque” Darren Bravo and the newfound spirited leader of the present generation, Jason Holder soaking some recognition. The recently eliminated name of Chanderpaul’s from the side was the perhaps the most dependable, glorious and respectable mention in a list that always needed some stability, more so in the years of Lara’s exit in 2007. The same period when Shiv had up his ante in test match scoring. And, it has to be said, the lower order bat was not just a handy customer who defended the side from many embarrassments in a triumphant career where he fought his way to score 30 test tons and 11 ODI tons, but was also every bit the brave battler who helped Windies salvage some pride when much had been lost out on the 22 yards. In the 90’s, the Windies’ game was marred by a colossal loss of form and a lowly existence. When none were seem to be able to come up to the challenge of contesting in the strenuous test of 5 day cricket, it was Shivnarine Chanderpaul who led some stable resistance, coming into bat with 5 wickets down and scoring knocks that encouraged supporters to sport two thumbs up for his spirited efforts out in the middle. Every every run scored or boundary hit by the Guyanese was aimed at reducing the taint earned by his side on account of collective failures. Since the form of others with both bat and ball was less than extraordinary, the continuity of Chanderpaul in the test playing eleven still rendered some hope of resistance for a side badly needing some inspiration. And what better instance and figure at finding some as that of the hard-working Guyanese bat and what a terrible time for his ouster when he was needed more than ever: at a time when youngsters like Kriagg Braithwaite, Jermaine Blackwood and Darren Bravo had only just started finding their feet in test cricket under the able guidance of the veteran Chanderpaul. In their bid to select what they call an exuberant unit made of youth, ignoring Chanderpaul meant that the Chief Selector Clive Lloyd has decided to let go of the only name that lent some credence to a rather unstable and inexperienced line up and his dropping explained by his failure to score runs in a 3 test series, deserves more credible answering. For a mighty batsman that withstood the pressures from all world class bowlers with the likes of Donald and Pollock, Cork and Caddick, Allot and Morrison and Akram and Shoaib in the bygone era to defending against the relentless pace of Malinga, Zaheer Khan, Steyn, Anderson and Johnson, Chanderpaul deserved his place in a side that still hugely depended on his batting greatness to compile useful runs in the middle and in the process, showing the youngsters how the great art of batting unfolds in the testing arena of test cricket where greatness is measured by the number of hours you can spend in the middle, defending, ducking, blocking and accumulating runs rather than depending on a hit and a miss vile show of the limited over game. Right from partnering with Brian Lara during the Trinidadian’s overtaking of Sobers’ record in Antigua way back in 1994, to teaming up with fellow Jamaicans- Carl Hooper and Ramnaresh Sarwan in steadying the Windies ship during the early 2000s to holding fort with aggressive two time triple century scorer Chris Gayle and pairing with the tail-enders to compile useful runs in giving Windies an unlikely edge over their opponents, Shiv Chanderpaul from Georgetown Guyana, was perhaps the last batting stalwart from a side that was once replete with legendary names and since Lara’s retirement became the only factor that would help Windies crawl over their opposition, since derailing them would be highly unlikely. You could easily depend on Chanderpaul to reconstruct an inning that had faltered unwittingly in the middle and could even rely on his solo efforts to go past the opposition’s scoring in a test encounter, with the elderly statesman of the game lending unflinching support towards the likes of now retired Dwayne Bravo, present test captain Denesh Ramdin, the blitzkrieg starter Gayle and the handy customer of the new ball Marlon Samuels. And in doing so, Chanderpaul would ably hold on to one end, allowing the batsmen from the other to get on with their game and in the process, reach unlikely personal milestones, but the undeterred talismanic scorer would remain out of sights from exasperated fielders lying idle out in the spread of the ground, waiting from an opportunity to catch a lofty blow, that would never come, since much of Shiv’s game was based on playing the waiting game: scoring on the merit of every ball and shying away from the lust of playing wayward strokes. For a batsman who has faced 27,395 balls in test matches, scoring 11867 out of those resolutely played deliveries, with 66 test fifties and 2 double hundreds, the longer Chanderpaul stayed on the wicket, the more would the bowlers fret and fielders sweat in the ground. It is quite unbelievable that a batsman known to take his own time to get set in the middle, easily choking up 4- 5 overs per inning before opening his account, Chanderpaul is the scorer of the 3rd fastest test century, going past hundred off just 69 deliveries, a feat he garnered against the celebrated Steve Waugh led Aussie side back in 1999 at his home turf in Guyana. His ouster from the game now means that bowlers world over will take a huge sigh of relief at discovering that they no longer need to come up blazing, all engines blowing towards the gritty left hander in their bid to dislodge the frail built batsman known to play titanic innings. At the same time, his countrymen in the team who weren’t a party to this poor decision would be staring blankly at the void left by courageous batsman, who demonstrated a genuine love for cricket and a great passion at upsetting the plans of the opposition to run over the West Indies. The last defender of Windies’ pride in the true sense and the provider of sublime hope when the sun was shining and the weather was sweet, Shivnarine Chanderpaul’s highly controversial axing from a side that depended hugely on his potency to deliver in crucial situations has dealt a huge self damaging blow to a side that had only just begun to rediscover its lost mojo. 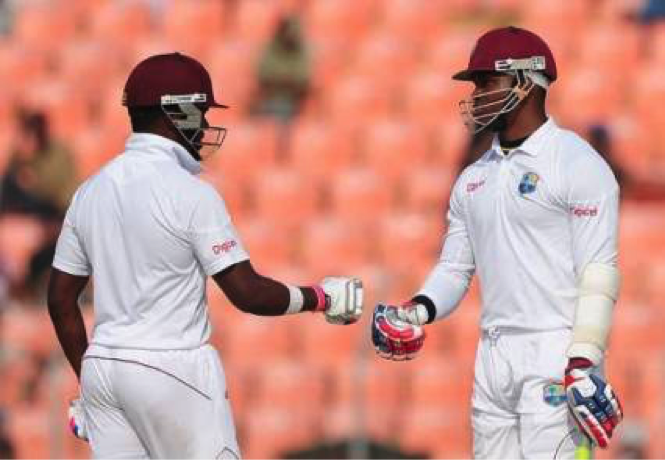 Now it is up to the likes of whatever is left of Gayle the test batsman and Samuels, Darren Bravo, Braithwaite and Blackwood to elevate West Indies to a state where it can be rescued from being totally lost in translation and in their humble bid, must they remember to dig in deep towards emerging victorious in their triumph, which will albeit lead them to muddier layers underneath the glory of West Indian cricket, where Chanderpaul has already left his timeless footprints as its most humble servant in the last 2 decades. Fifties: 66 7 hundreds against India, 5 each against S.A, Aus and Eng.